The Wiggler Zombie Baby® Prop is one baby you totally do not want to babysit - ever! 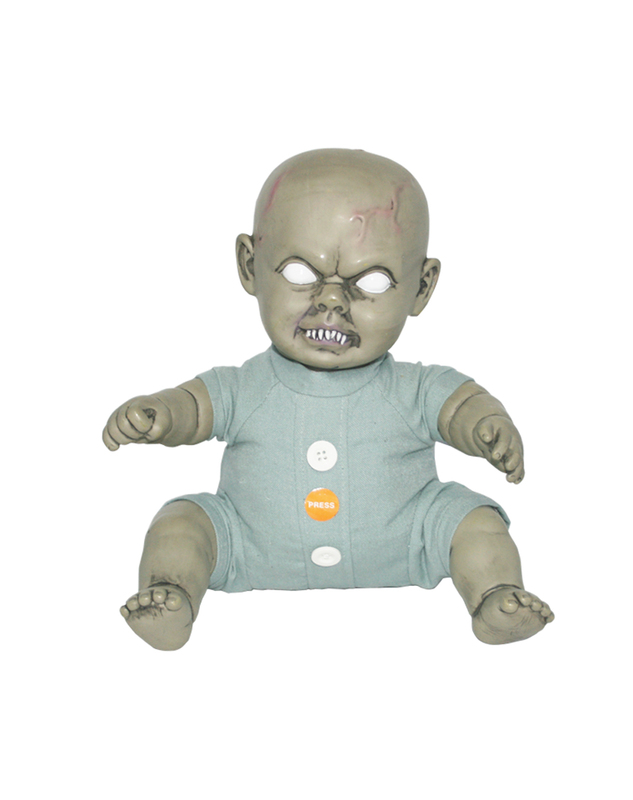 The Wiggler Zombie Baby Prop is a lifelike and nasty little zombie baby intent on creeping you out in every possible way - check out those teeth! He laughs maniacally and shudders and shakes - hideous little monster! Shake up the party when you decorate with this nasty fellow - he needs a - time out for terror! Get your very own Wiggler Zombie Baby Prop or view more Zombie Halloween Party Props & Decorations right now!